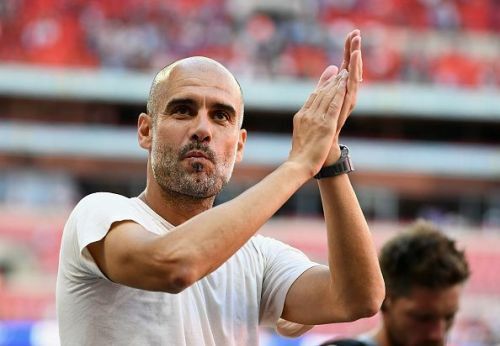 Manchester City were superb in the last season as they notched up 100 points. This season began in similar fashion as they won their first two games 2-0 and 6-1. However, they were shocked by Wolverhampton Wanderers and drew 1-1 with them. They didn't do a lot in the transfer window apart from buying Riyad Mahrez. They will be regretting the fact that they didn't even try to buy a goalkeeper and sold Joe Hart to Burnley. Currently, the Cityzens are facing a goalkeeper crisis because of backup goalkeeper Claudio Bravo's injury. He was injured during a training session on Monday. It is an Achilles injury and reports suggest that it could take a good amount of time for it to heal. They only have one back up for Ederson, the 20-year-old Daniel Grimshaw. 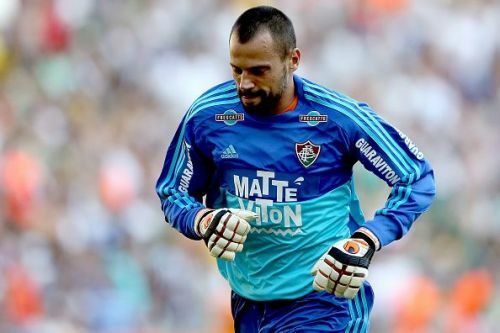 According to Globo Esporte (via The Sun), Manchester City has targeted former Liverpool goalkeeper, Diego Cavalieri. Diego is a free agent and has been a part of 2 Premier League clubs, Liverpool and most recently, Crystal Palace. However, he could only manage 8 appearances for them over the course of 2 years. He failed to make his PL debut with them and remained benched. Crystal Palace signed him on a short-term contract last season and left him when it expired. He failed to play for the club and as a result, he is yet to debut in the PL. The 35-year-old has made 3 appearances for Brazil. He was also a part of Italian club Cesena but didn't play in the league. All his league appearances have come in Brazil and he hasn't managed one in Europe. The Sun may not be the most reliable with transfer news but, they might have gotten it right this time around. A few of the other websites have also reported the same news, as well. Moreover, Diego Cavalieri is a free agent and would jump on the chance to sign for a world class club like Manchester City. City could sign him on a loan deal as they wouldn't require his services once Claudio Bravo is fit. If the reports are to be believed, this deal could be completed in the next few days. Manchester City will play their next match against Newcastle at their home ground, the Etihad Stadium. Manchester City 2 Liverpool 1: What next for Klopp's Reds?